Free your conscience by replacing your old plastic dish brush and sponge with this luxury soft hemp based one. 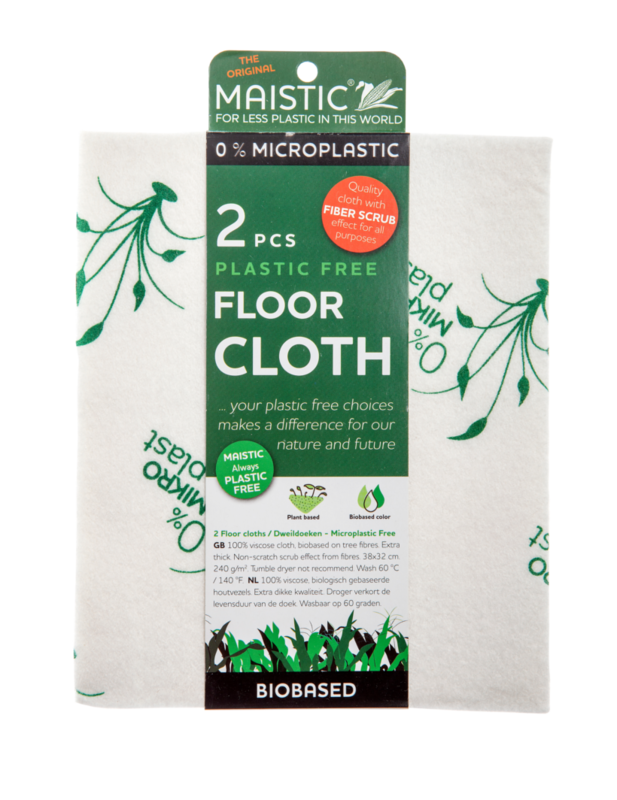 Maistic's Plastic Free Hemp No Scratch Scrubber is great for dishes, cups and delicate surfaces and unlike plastic does not break down releasing harmful microplastics into the environment. The woven hemp scrubs lightly, whilst the plastic free cellulose sponge inside saves a substantial amount of soap. It absorbs soap better than a plastic sponge. It's also good for cleaning vases, porcelain, metals and other articles that do not tolerate rough cleaning on their delicate surfaces. Eco friendly, effective and non polluting. 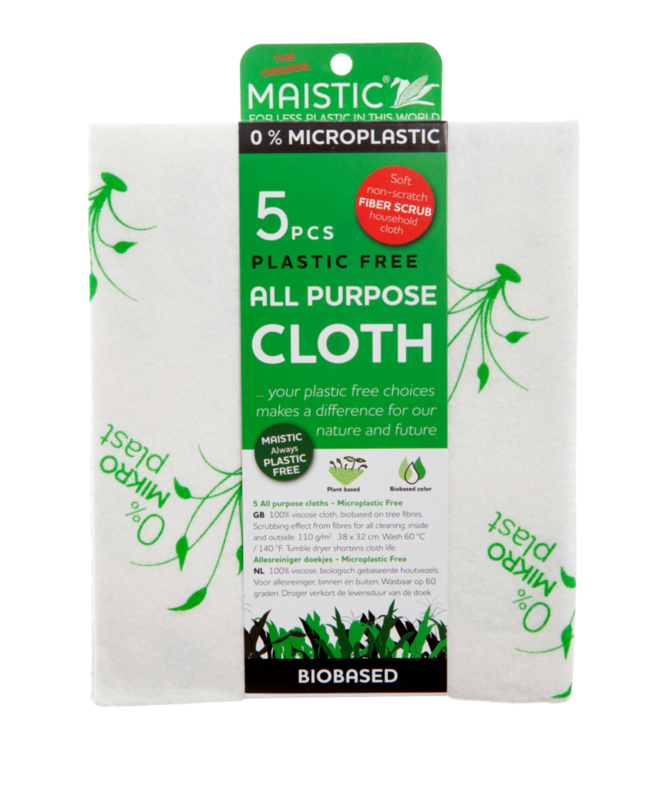 How to care for your Maistic Plastic Free Hemp No Scratch Scrubber; When you need to wash your Hemp No Scratch Scrubber you can easily clean it in the dishwasher. After drying it will be ready for use again. Put it in the tray for glasses. Dry it standing up afterwards. Now the sponge is ready for use again. Alternatively, use boiling water. We do not recommend you put Hemp No Scratch Scrubber in the washing machine, or use the tumble dryer, as it will shorten its lifespan. 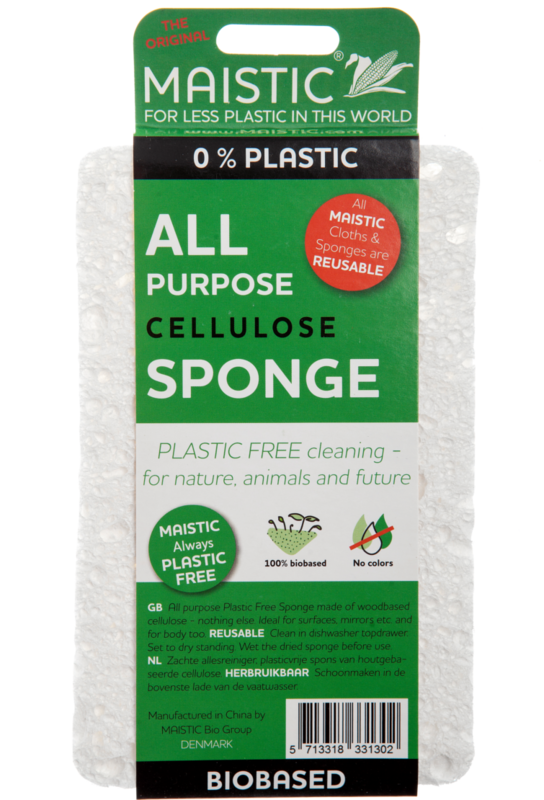 Watch the video to see the amount of microplastic dust produced from your traditional kitchen sponge with just 4 seconds of use.